Nations Companies unique integration with Encompass offers their clients huge productivity gains and an average of 5 to 6 loan modifications per file. Prairie Village, KS, February 14, 2018 --(PR.com)-- Nations Lending Services, Inc. (NLS) part of the Nations Companies and a provider of Nationwide Title and Settlement Services, today announced enhancements to their integration in Ellie Mae’s Encompass® all-in-one mortgage management solution. The National Executives of Nations Companies will be exhibiting these enhancements at the Ellie Mae Experience 2018 Conference at booth #2. In addition to a long time standardized integration with Encompass to offer Title & Settlement, and Appraisal, NLS is making a series of special enhancements for lenders doing business with Nations via Encompass. 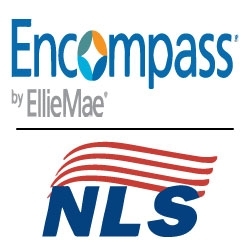 “Encompass, has been a key part of our company strategy to offer Title and Appraisal Services which are beyond the industry standards and result in productivity gains in our clients,” said Brad Likens, President of NLS. The most recent enhancement Nations Companies released in relation to Encompass is the ability to Modify Loan Amounts and instantaneously receive a modified LE, CPL and Title Commitment. This feature may offer productivity gains for clients whom interface with Nations via Encompass and saves the typical back and forth via email every time a loan amount changes. Many clients will average 5 to 6 Loan Amount modifications per file within Encompass. “Our clients have given us feedback that this enhancement has been a way to counteract the extra work which TRID is costing them on each file,” said Brad Likens, President of NLS. Nations Companies encourages attendees to stop by booth #2 for a chance to win giveaways and learn more about their unique integration with Encompass. Ellie Mae® and Encompass® are registered trademarks of Ellie Mae, Inc. All rights reserved.